This scene is from rural Virginia, outside of Petersburg. I was in search, a quarter of a century later, of the route of a very long and leisurely walk that I had taken from my motel on a beautiful autumn day in the early 1970s. 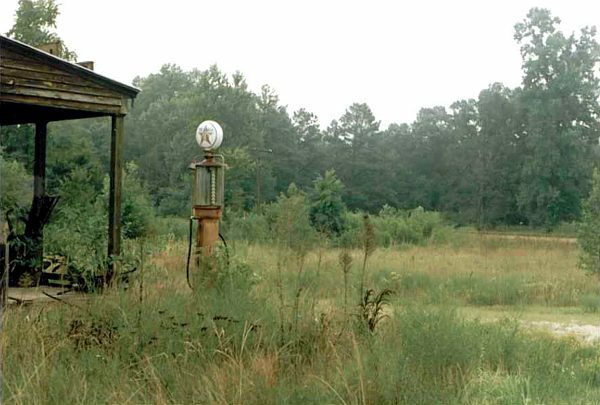 I never found the landmarks for that earlier visit, but did come across the remnants of an old Texaco station -- one can only assume it's all authentic -- in the flat light of a very humid summer evening.